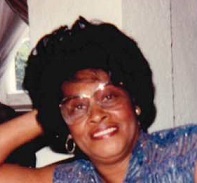 Bernice McKinney Nix, 95, passed away on February 5, 2019. Bernice a faithful Christian, raised her children in Prospect Baptist Church. Included in her years of Christian service, Bernice taught Sunday school, sang in the choir, and served as an usher. She was most recently a member of Rose of Sharon Baptist Church. Bernice was a charitable person who often cooked and cleaned for sick neighbors, and visited sick church members with bible in hand and a prayer in heart. In times of conflict, hardship or sorrow, Bernice used prayer and laughter to help others through tough times. She was preceded in death by her husband of 58 years, Harvey Elson Nix; granddaughter, Dominique Faye Dyson; grandson, Jonathan Eric Guice. Survivors include her daughters; Geraldine Mims, Monroe Township, NJ, Freda Nix, Houston TX, Gail (Bobby) Nix-Talley, St. Augustine, FL, Constance Nix, Chattanooga, TN; son, Roderick Nix, Chattanooga, TN; brother, Henry McKinney, Cleveland, OH; seven grandchildren; six great-grandchildren; a host of other family members and friends. The body will lie in state at 11 a.m. on Monday, Feb. 11, at the Rose of Sharon Baptist Church. The family will receive friends at noon, and the funeral service will begin at 1 p.m. Interment will be in Lakewood Memory Gardens.